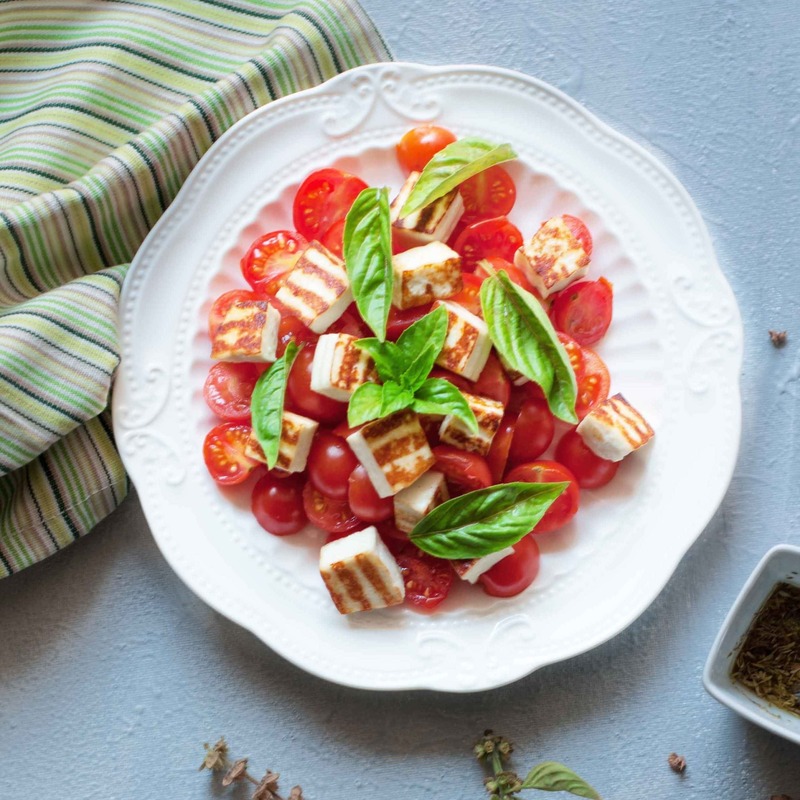 There is a backstory to this Cottage Cheese and Tomato Salad! During my pregnancy, i was diagnosed with GDM-short for Gestational Diabetes.I want to say that everyday was a struggle with gestational diabetes but it looked like I was preparing for it for a long time. My dad has had diabetes since he was 35 so my parents are the biggest source of knowledge for me. Knowingly or unknowingly they have imparted knowledge and inculcated habits which don’t make this as difficult it would be for normal folks. The biggest example being that we have never had milk or any beverage with sugar or any other additives so my morning glass of milk or the occasional coffee I allow myself is not an ordeal it would be for normal folks. If there was one rule for folks with GDM(with insulin) is to feed your body every 2-2.5 hours. Its irritating because you can’t just sleep and get up anytime to eat cause the sugar levels can fall even while you are sleeping so the schedule has to be monitored tightly. It took me two days to digest the fact that I have to take insulin for the rest of my pregnancy, which isn’t really a long time ,just three months.I have friends who have taken insulin since they were 5-6 years old and I realize I don’t have any right to complain at all. Just imagining small kids having to inject themselves, not having birthday cakes and ice cream makes me teary eyed. All the serious stuff aside.I was looking for a recipe using cottage cheese or paneer which was quick and not necessarily indian. I had made a version of this Cottage Cheese and Tomato Salad as a quick starter at a barbeque party a year back sans the tomatoes with italian seasoning and it was an instant hit with the vegetarians. This recipe is so simple and quick that you can’t really complain about not having the time to make it. It’s a bachelor and kids friendly dish. Save all your leftover pizza seasonings and random italian herbs and utilize it in this recipe. Heat the olive oil in a flat pan.Add the cottage cheese or paneer cubes. switch sides to ensure equal cooking of the cheese cubes. When the sides are golden brown switch of the flame. Add the halved tomatos immediately.The residual heat will cook the tomatoes a little. Add the italian seasoning.Toss everything together. Other Absolutely GORGEOUS salads you will love!